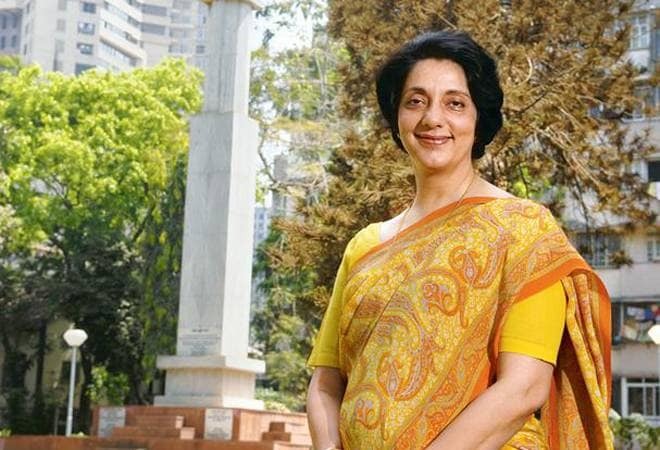 Banker-turned-politician Meera Sanyal passed away on Friday after a prolonged battle with cancer. She was 57 years old. Sanyal had joined the Aam Aadmi Party after quitting her job as the country chief executive of the Royal Bank of Scotland (RBS). She served the bank for 30 years. Sanyal passed away at her Colaba residence at 8:00 pm. AAP's Preeti Sharma Menon confirmed the politician's death. " Am really really broken to share that @meerasanyal is no more. So noble, brave and graceful... I have no words...," she wrote on Twitter. "Meera had been fighting cancer for some time now. The brave refined soul that she was, she never let it be made public and we respected her even more thru this struggle. God takes away his own," Menon further added. Meera Sanyal was born in Kochi. Her father was a decorated navy veteran. She studied in Cathedral and John Connon School before enrolling at Sydenham College. Sanyal eventually went to Harvard University from where she acquired her management degree. She went on to serve in industry bodies like CII and FICCI as well as in student organisations like AISEC. Sanyal had also served in the board of Jai Hind College. Meera Sanyal worked at Lazards and Grindlays Banks. Even as a banker Sanyal sought to work for the underprivileged sections of society as well as women in rural India. In 2011, Hillary Clinton invited Sanyal to join the International Council on Women's Business Leadership for Women's Empowerment. Sanyal contested the Lok Sabha elections in 2014 but was unsuccessful. As news of her death made it to social media, politicians, mediapersons, bankers as well as celebrities from the entertainment industry mourned her death. The country has lost a sharp economic brain and a gentle soul. May she rest in peace! Gosh! @meerasanyal has left us! Gone far too soon! A truly kind soul, that rare Finance specialist with empathy, genuine compassion and social concern. Feels like a kick in the gut to me, and I only knew her sightly. Can't even imagine how her loved ones must feel. Condolences! Shattered to hear about @meerasanyal's demise. A woman who personified grace, carried her success lightly and always had a patient ear for anyone who reached out to her. An exemplary leader who inspired all who came across her. May God give her family strength to bear this. The loss of a dear one is never easy, but @meerasanyal's sudden departure left no time for goodbyes. Your loss is irreparable, many conversations left unfinished but you will always remain in my memories as full of life, as you always were. RIP. I'm so sorry to hear this. Meera was an unfailingly gentle and gracious presence on TV and social media. She'll be missed.